like us, they are 100% genuine and passionate. 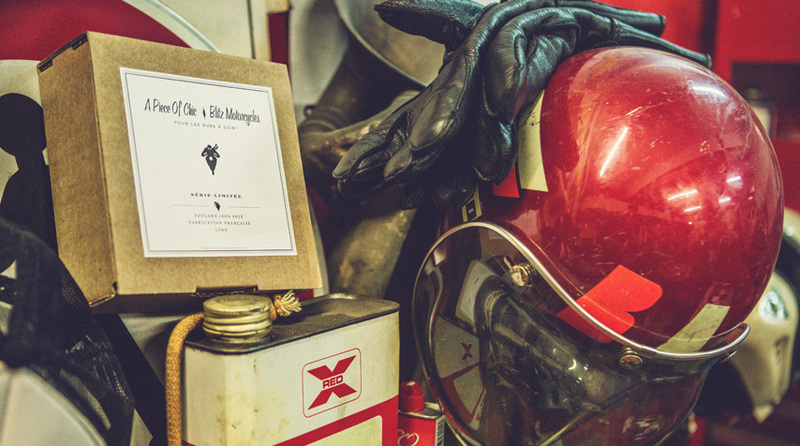 Here are a few "lifestyle" pictures taken in our workshop, while we were working. 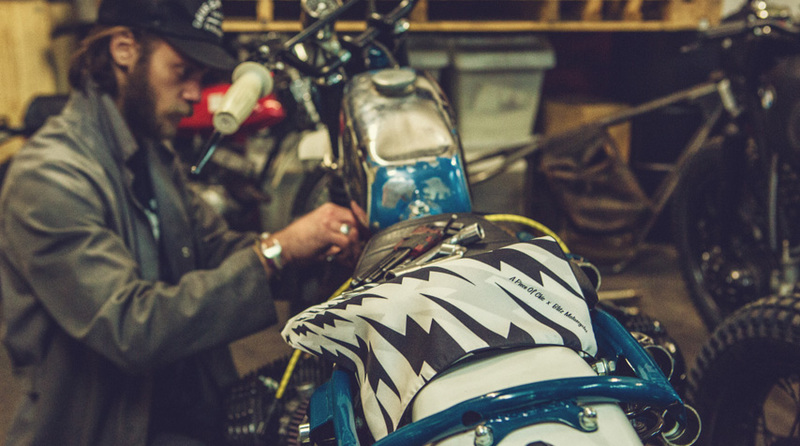 The "classic scarf" on top of a Suzuki DR 650 engine under customization. 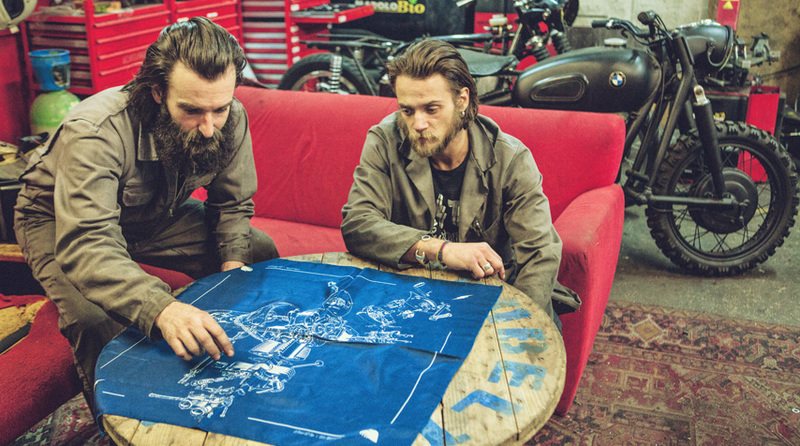 The "classic scarf" on the BMW R60/2 Great Escape. 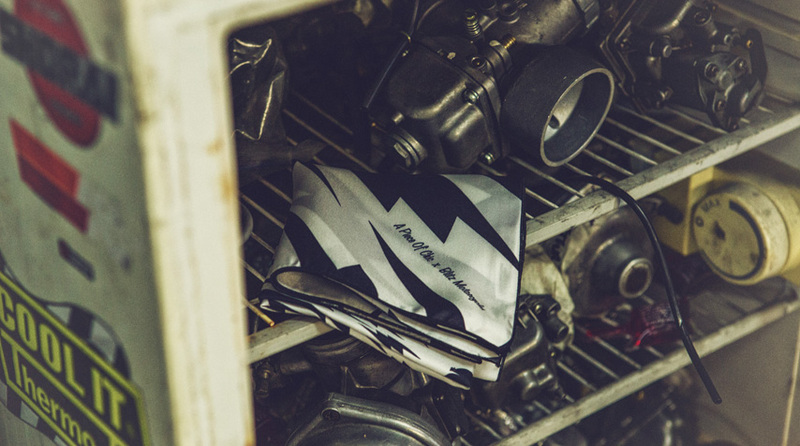 ... and now, the same "Thunderbolt" 50x50 scarf in the "Blitz fridge". 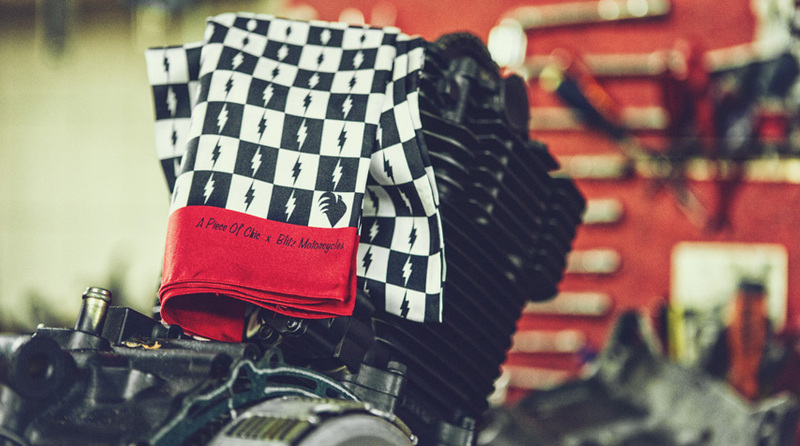 The box dedicated to the "A Piece of Chic X Blitz Motorcycles" scarves. 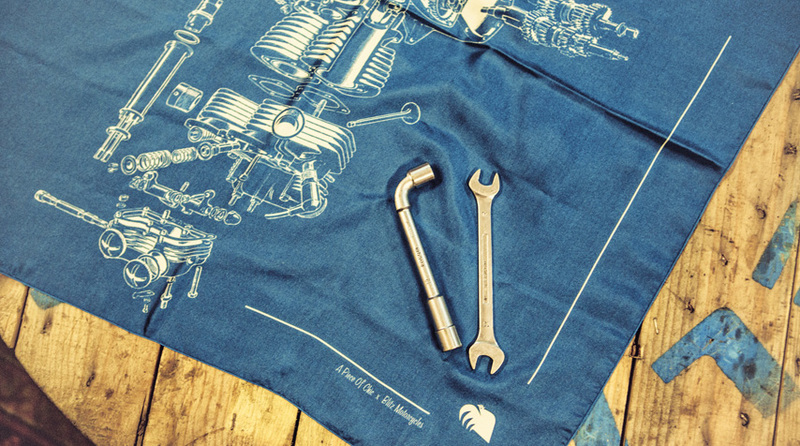 ... and with the proper tools, you can get around.